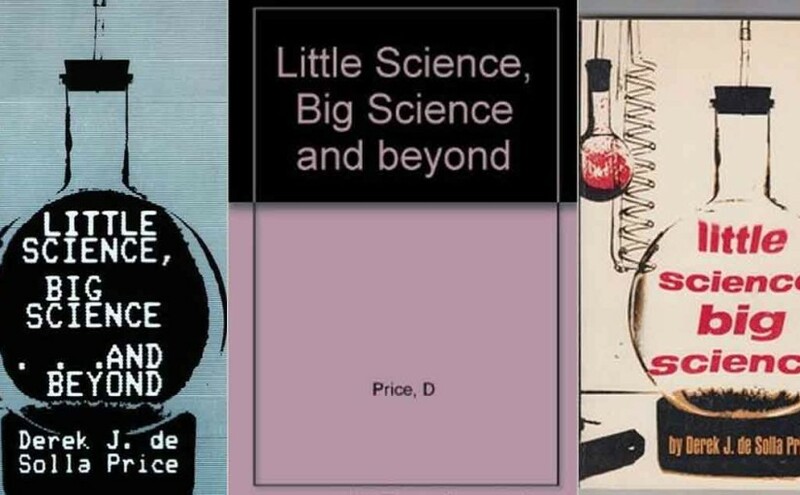 Below is a link to a full-text version of Little Science Big Science by Derek J de Solla Price. In its first (1963) edition, Little Science, Big Science explored the then fantastic expansion of resources devoted to the advancement of science, and the social significance of that phenomenon. The current edition contains nine additional essays that delve further into the same themes. The original papers touch on rules theoretically governing the life cycle and behavior of science. The newer essays compare the “hard” and “soft” sciences, discuss the larger issues of international scientific networking and “invisible colleges,” and examine the methodology of the scientific experimenter and the growth of high technology. This excellent work combines one of Price’s earlier tours de force with a good selection of his insightful later writings. Highly recommended for scientists, historians and sociologists of science, and information science professionals. Robert Paustian, Wilkes Coll . Lib . , Wilkes-Barre, Pa. Note: This is a uncorrected reproduction obtained by Optical Character Recognition (OCR) from a scan, and not all errors in the OCR are corrected, so the text has some type-errors. For private use and study, not to be reproduced nor to be used in commerce.